All over Europe (and in the USA), this negotiation process has raised considerable concerns. Probably for a very simple reason. What Daniel Mullaney considers to be “unnecessary regulatory differences” is seen by others as political preferences that they are apparently not ready to give up in order to facilitate transatlantic exchanges. “The EU’s legislation (regarding farmed animals) is overall the strongest and most comprehensive in the world (with the exception of the welfare of beef cattle on-farm) (Read Entire Report)”. According to some American NGO’s fighting for the respect of animal welfare, the United States lag far behind. Taking these differences into account, various European actors are worried that TTIP will eventually undermine decades of European progress in animal welfare. The question is: “Are they right?”. A first precision has to be made in order to clarify the answer we can give to that question. TTIP will not change European regulations regarding animal welfare. At least not immediately (see conclusion of this post on the potential influence on future EU standards). The aim of TTIP is not to change current regulations but to decide which products and services can cross the pond and on what conditions. 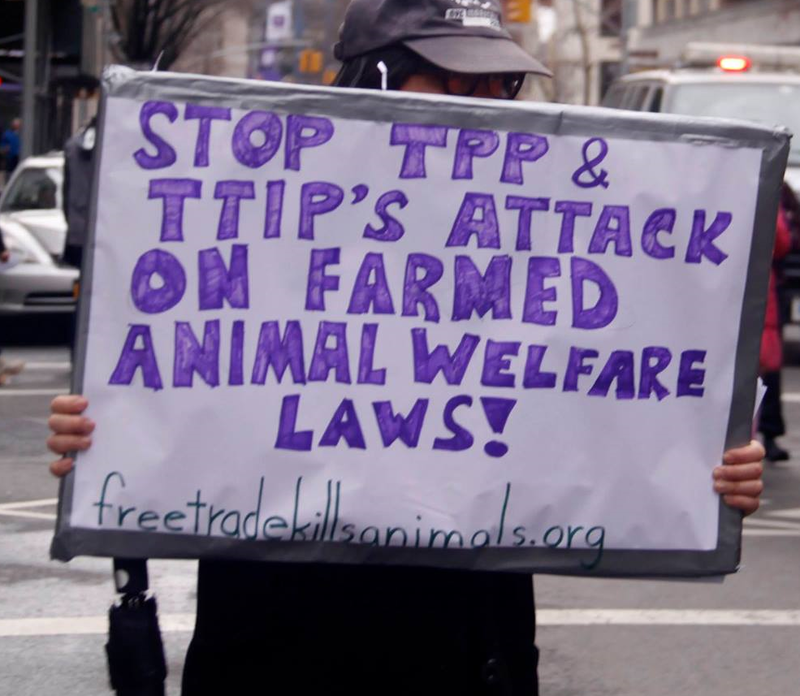 In other words, from an animal welfare perspective, the immediate aim of the TTIP negotiations is not to determine which animal welfare standards should be followed in the US or the EU but rather to establish if, given the fact that these animal welfare standards are different, animal products should or should not be allowed to cross the Atlantic. To answer that question, one should be cautious. First, because the final treaty is not yet signed (nor (and far less) accepted by all the European actors that will have to agree on it). Second, because while the European Commission is making everything it can to give the impression that negotiations are transparent, (let’s be blunt) they are not (Read the amazing testimony of a Member of the European Parliamentary, here). What we do have is the proposal that the European Commission did to the US regarding animal trade (the text was made public on January 2015, read it here). “The Parties recognise that animals are sentient beings. They undertake to respect trade conditions for live animals and animal products that are aimed to protect their welfare”. In other words, instead of conditioning the entrance of live animals or “animal products” to some precise animal welfare standards, the Commission offers a system where free trade of animals is the rule (see art. 2) and the respect for animal welfare a potentially legitimate exception. Some might say that, at the end of the day, it is not that bad for animal welfare protection. After all, the proposition of the Commission does state that animal welfare considerations can be taken into account to limit trade, and it is not something that has been so obvious in the past. This is true and should not be discarded as irrelevant. The European Commission is taking animal welfare more seriously than before and it should not be denied. That being said, in my point of view, the proposition of the Commission is still relatively weak regarding animal welfare standards and for three reasons. First, let’s imagine that the treaty enters into force. In that case, US animals (regardless of the level of welfare standards they enjoyed) would have access to the European market. There would be a general presumption that US animals can rightfully be on the European market as long as the EU does not adopt a specific prohibition (if and when the EU would do that remains to be seen). Second, TTIP is a free trade agreement and it is well known that in free trade systems there is a strong tendency to consider measures aiming at protecting the environment or the animals as unnecessary barriers to trade. Even if theoretically granted, it is therefore very doubtful that the right of the EU to limit transatlantic trade on animal welfare grounds will be interpreted in any other way than in its narrowest sense (decades of WTO decisions have proven that enough). My final concern is linked with a simple fact: industrial farming with lower animal welfare standards is usually made at a lower price. The question can therefore be raised: how will the European producers survive when confronted with cheaper and less regulated meat coming from the United States? 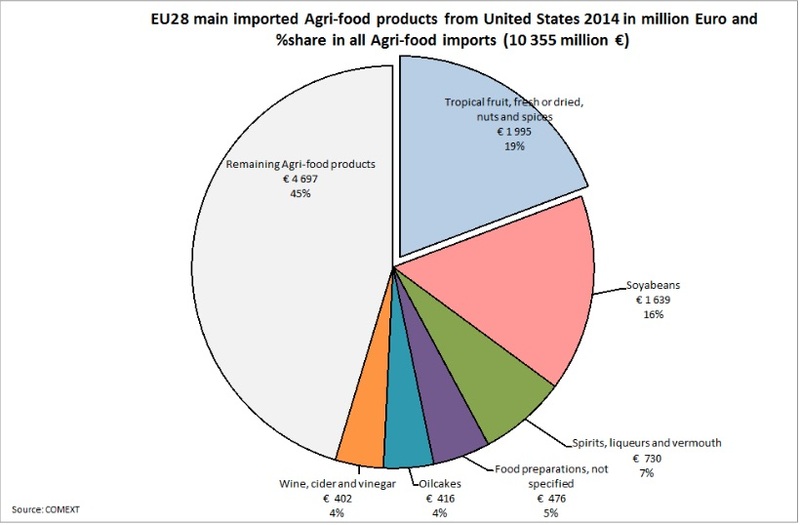 One can be worried to notice that the simple opening of EU market to American “high quality beef” (read “without hormones”) in 2011 has multiplied the import of US meat by 2 and the import of live animals by 6 (see the numbers here). If EU markets were to be opened to US animals unconditionally a larger (and probably significant) part of the “animal products” and live animals consumed in Europe would be coming from US animals living under notably lower welfare standards. In my point of view, TTIP would therefore not only generate a global recession of animal welfare standards of the animals consumed in the EU. It is likely that it will create a strong incentive for the European Union to lower European animal welfare standards in the future in order to stay competitive with the American products. And that is why I think that people wanting to defend animal welfare should whish for a change in the way European proposals are currently drafted. 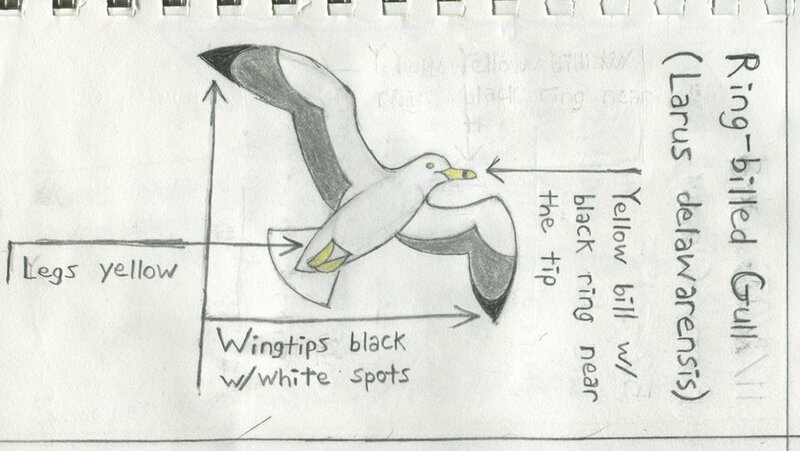 Credits: The picture of the protester comes from here; The drawing of the ring-billed gull comes from here; the transatlantic map comes from here.